As crafters become more accustomed to using technology to create their layouts, digital scrapbooking continues to grow in popularity. If you're looking for an affordable yet convenient alternative to traditional paper scrapbooking, LoveToKnow Scrapbooking is here to explain the basics of creating beautiful digital layouts for your albums. Contrary to popular belief, you don't have to be a computer whiz to enjoy digital scrapbooking. All you need is a digital camera, computer, printer, image editing software, and a bit of patience. 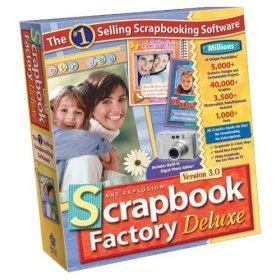 Free scrapbook supplies allow you to enjoy the benefits of digital scrapbooking on a tight budget. Whether you describe your design style as elegant and sophisticated or fun and contemporary, there are free kits and page embellishments available to fit your needs. At LoveToScrapbooking, we've searched the Internet to find the best sources of free digital scrapbooking supplies. Let us show you how to download scrapbook paper and quickly locate digital scrapbook freebies that suit your unique sense of style. We'll even help you find free scrapbooking fonts to create memorable titles for your pages. If you're having trouble getting started on your first digital layout, LoveToKnow Scrapbooking can recommend computer magazines for scrapbook techniques to offer the inspiration you need. We also have a gallery of digital scrapbooking projects and interviews with digital scrapbook experts such as Jane Conner-ziser.